Meigan C. Aronson, a professor of physics and astronomy at Stony Brook University in New York and a physicist at the U.S. Department of Energy’s Brookhaven National Laboratory with a strong track record of experimental research and professional service at key national levels, has been named Dean of Science at Texas A&M University, effective October 1. Aronson’s appointment was announced Wednesday (June 24) by Texas A&M Provost and Executive Vice President Karan L. Watson. Since 2007, Aronson has jointly served as a professor in the Department of Physics and Astronomy at Stony Brook and as group leader of correlated electron materials in the Condensed Matter Physics and Materials Science Department at Brookhaven Lab. Her research focuses on the discovery and characterization of quantum materials with particular interest in uncovering new superconductors. 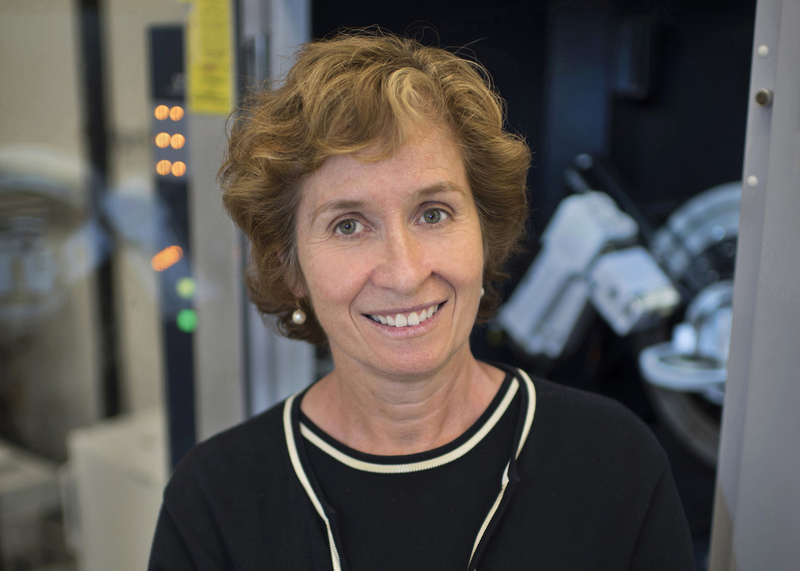 Aronson earned a bachelor’s degree in physics from Bryn Mawr College in 1980 and both a master’s (1982) and Ph.D. (1988) in physics from the University of Illinois, Urbana-Champaign. After completing postdoctoral work at Los Alamos National Laboratory, she became an assistant professor of physics at the University of Michigan in 1990, earning promotion to full professor in 2002. In addition, Aronson served as associate dean for natural sciences in the College of Literature, Science and Arts at Michigan from 2004 to 2007. A Fellow of the American Physical Society since 2001, Aronson also is a National Security Science and Engineering Faculty Fellow (2010-2015), a General Electric Junior Faculty Fellow (1992-1993) and a Committee on Institutional Cooperation Academic Leadership Fellow (2003-2004). Among her many professional activities, she is the current chair of the Oak Ridge National Laboratory Neutron Advisory Board and the National High Magnetic Field Laboratory External Advisory Committee and is a member of the Board of Governors for the Institute for Complex Adaptive Matter (ICAM) at the University of California and the Board of Trustees of the Gordon Research Conferences. In addition, Aronson has been a member of several advisory committees for the National Academy Board on Physics and Astronomy, including the Committees on Opportunities in High Magnetic Field Science and the Future Direction of High Magnetic Field Science. She also serves on the Scientific Advisory Board for Oak Ridge National Laboratory.